A Furry Crown: What is Antler Velvet? Antlers. They have fascinated man since the beginning. Going back thousands of years one can see man's love for “animals with antlers” etched and painted on the walls of caves. Antlers were a trophy in a different way before they were used to decorate the walls of our hunting camps and game rooms. Before modern civilization, antlers were used to make tools, ceremonial wear, and weapons just to name a few of the uses. So how do these intriguing bones grow? What are they made out of? How do they go from this soft looking, furry velvet to a durable set of rock-hard fighting gear? Antler genesis is an amazing process, antlers are the fastest growing tissue in the animal kingdom. The antler growing process for whitetails is an annual event and is regulated by hormones which are controlled by the photoperiod or length of day. The primary hormones responsible for antler growth are testosterone and IGF (insulin like growth factor). The rise and fall of testosterone levels initiates the hardening of the antler, the peeling off of antler velvet and casting or shedding of the antlers. The IGF that is produced in the liver promotes actual growth. The longer days correspond with a drop in melatonin production this kicks off the hormone cycle for antler growth. You can get very scientific and complicated with all the glands and organs involved in this process, but basically the pineal gland helps the buck’s brain measure the length of day by the amount of melatonin produced. This, in turn, influences testosterone and IGF levels. If you have ever noticed the bucks that are late in the velvet shedding process are often the yearling bucks and older bucks that have survived and are past their prime. This is directly related to the lower levels of testosterone produced. To fully understand antler, and more specifically, “velvet antler growth” we need to start at the beginning. In a whitetail’s case, the beginning would be the pedicle. The pedicle is the base from where the antlers will form and are located on the frontal bone of the skull. Buttons begin to grow from the pedicles sometime around six months of age in male whitetails. During the growing season (spring through summer) a whitetail’s antlers are covered in a very fine and soft membrane most commonly called velvet. Underneath this furry membrane, the antlers are supplied by a very rich supply of blood and nutrients from veins that run on the outside of the antlers and back down to the base. During the growing stages, antlers are high in water and blood content and low in dry matter. The dry matter at this stage is around 80% protein and 20% phosphorous and calcium. Conversely, in the hardened stage, antlers are about 60% phosphorous and calcium and 40% protein. While in the velvet stages, antlers feel alive and warm to the touch because of all the activity taking place within. I was lucky enough to feel this first hand while helping to raise whitetails for a couple years. When antlers are in velvet, they are very vulnerable to being injured. Bucks seem to be very aware that they have this fragile treasure on their head and are very careful in their actions throughout antler genesis. 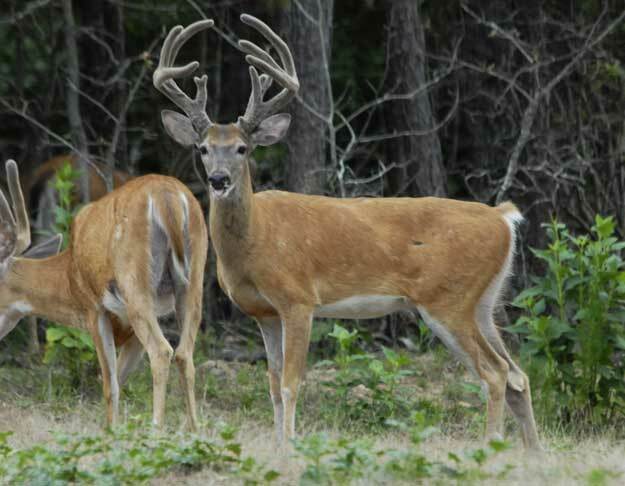 Bruises, cuts, or tears to the velvet can all have an impact on the formation of the antler. These injuries often result in abnormal points or in serious injuries and complete deformation. It is worth noting that leg, body or pedicel injuries can also lead to deformed antlers. Vehicle collisions, bullet or arrow wounds, and fighting injuries to the legs, shoulders, or hind quarters can be seen sometimes in the following season’s antler growth by abnormal points or deformed main beams. Injuries on the rear legs affect the opposite side antler, where front leg or shoulder injuries will affect the same side. 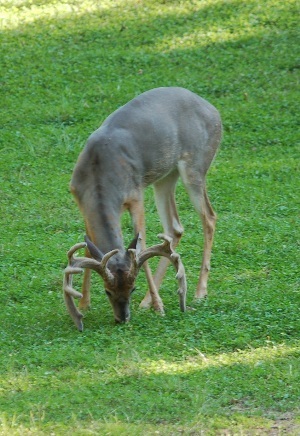 Research shows this oddity may be from the buck’s ability to pull or redirect nutrients for healing the injured leg. Pedicel injuries can happen during the numerous fights during the rut causing part of the pedicel to shed with the antler. 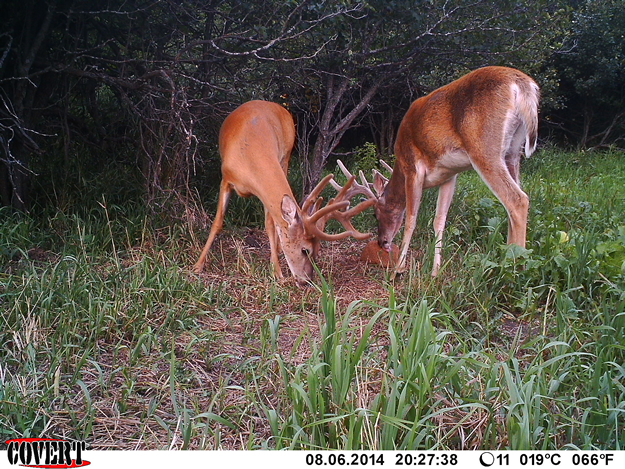 If the pedicel injuries are bad enough, they can sometimes affect antler growth for the buck’s entire life. With the days of late summer getting shorter, testosterone levels begin to rise and the growth cycle begins to slow down initiating the process of hardening or mineralizing of the antlers. So how does the velvet come off? The velvet ceases to be fed by blood by the formation of what some call the base or the burr on the antler. When the buck grows this burr at the end of the antler cycle, it puts a “kink in the hose” so to speak, cutting off the blood supply to the velvet. In as little as a few hours, the drying velvet is rubbed off on trees and bushes the buck is left with a blood stained rack that he will continue to polish for several days. I think many early fall rubs that are seen are areas where bucks use saplings and bushes to scrub the drying velvet from their newly hardened set of antlers. It can also be eaten off by other deer or birds and any velvet that does hit the forest floor is quickly scavenged by mice and other critters because of its high nutrient content. 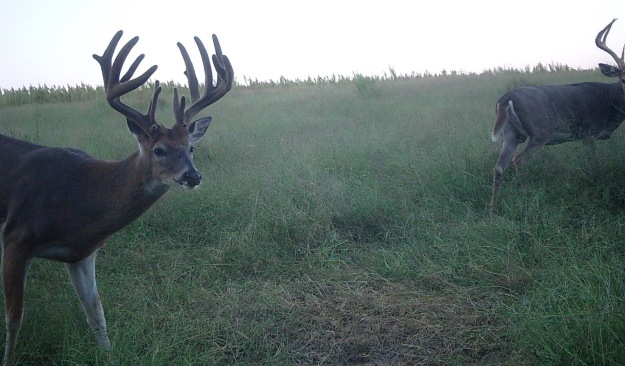 There are rare cases where a buck does not shed his antlers, and instead keeps a velvet covered rack that continually grows throughout the year. The condition is referred to as cryptorchidism. These “cactus bucks” are usually the result of an injury or castration of the testes which alters their testosterone levels. The age at which the injury occurs will determine the severity of antler deformation or interruption in the normal antler cycle. Fawns that are castrated will likely not develop a pedicel and therefore never grow any antlers. An older aged buck that has a testes injury or castration while he is hard antler will likely shed his antlers early due to the sharp decrease in testosterone production. 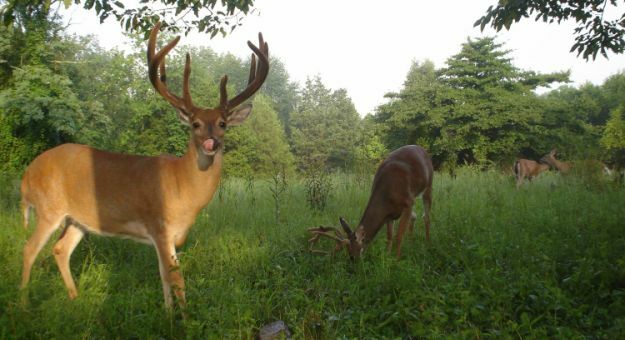 The following season the buck can grow a rack that is permanent and stays velvet covered and growing. The antler growing process is very interesting and one of the most unique cycles in the animal kingdom. Whether it is a whitetail, mule deer or elk, antlers are a large part of our fascination with these big game animals. BioLogic’s Bio Rock and Full Potential mineral can be great ways to supplement your deer’s diet and get great up close pictures during the antler growing cycle. 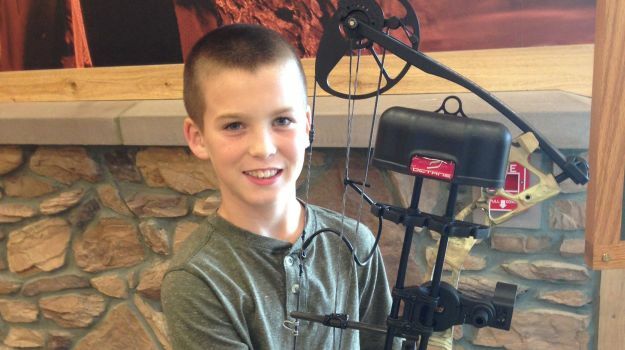 Would you like to learn more about improving your hunting and get discounts on the products you need? Learn from the experts by joining the new Mossy Oak GameKeepers Club at www.gamekeepersclub.com. The latest I’ve ever taken a buck was on November 3rd one year. Since I sell real estate during October and November, I have a lot of hunters coming into my Mossy Oak Properties’ real-estate office, looking for hunting land to purchase. So, by hunting early in bow season, I usually take the buck I want to take in the first 2 weeks of the season and find a buck for my girlfriend too.